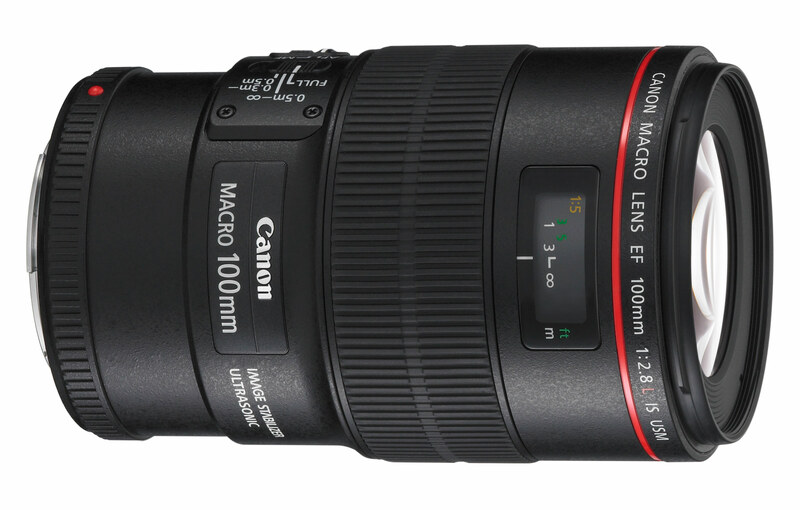 Looking for the best Canon macro lenses? In our Canon lens guide you can find the best macro lenses for close-up, flower and insect photography. First of all what is macro photography? It is also known as close-up photography, is one of the most popular types of photography among professionals and amateurs alike, as it can reveal sharp and intricate details that are invisible to the naked eye. If you want to shoot some extreme close-up images, then it’s important for you to get a true macro lens that can offer 1:1 magnification life-size reproduction without the use of accessories. Here are the top best macro lenses for Canon DSLRs that can help you take amazing close-up images. 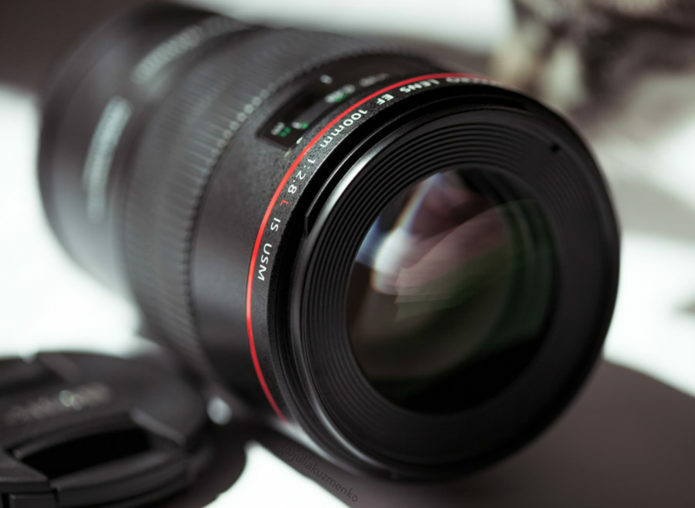 We’ve included a buying guide so that you can know exactly what you should be looking for when purchasing a Canon closeup lens. Magnification (ratio): In macro photography, it is important to know how large or small your subject appears on your camera sensor. True macro lenses have a 1:1 ratio, which means your subject appears as big as it is in real life. If the ratio is 1:2 or anything less than 1:1 but still has macro in its name. This is common with cheap zoom lenses. Minimum Focusing Distance: The minimum focusing distance will determine how close you can get to your subject while still being able to maintain a sharp and accurate focus. Image Stabilization: If you’re using something long without a tripod and don’t have a fast enough shutter speed, you’ll easily get blurred images. So this is a great feature for handheld photography means that you can capture your subject without having to use a tripod. Focal length: Longer focal lengths are better for photographing portraits, insects etc., while shorter are more appropriate for photographing products. 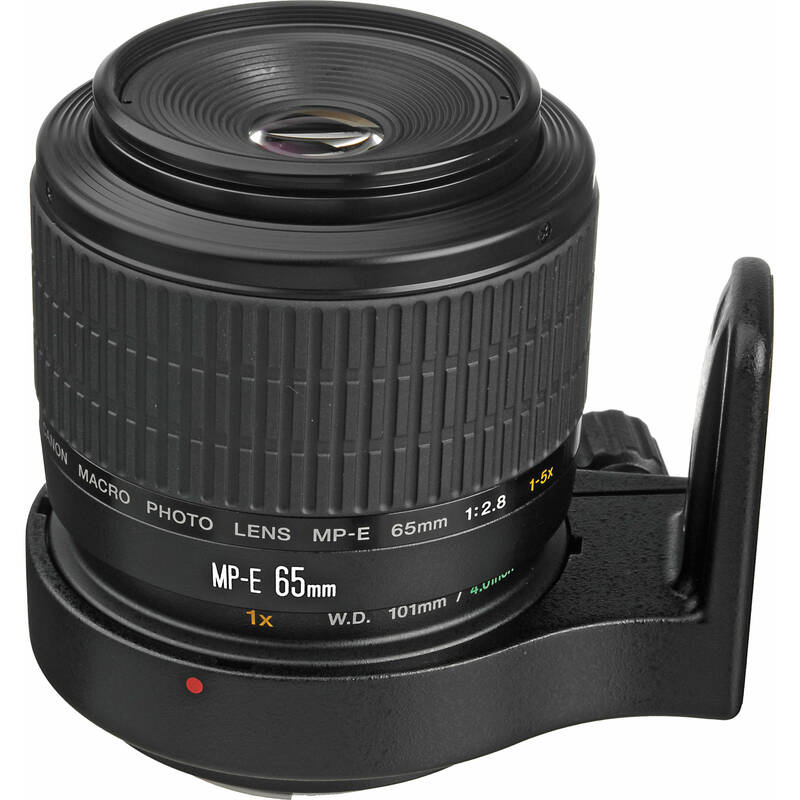 The Canon EF-S 60mm f/2.8 USM is the only EF-S macro lens, meaning its field of view on APS-C is equivalent to a 100mm lens. It’s got a closest focusing distance of 0.65 feet, takes 52mm filters and features Ring-type USM for fast, silent and accurate auto focusing. While focusing, the lens does not extend, making it good for photographing subjects that could easily get scared. When it comes to image quality and sharpness, the 60mm f/2.8 is one of, if not the sharpest EF-S lens out there. It’s the shortest and lightest of all the lenses on this list, so it’s a great choice for traveling and photographing for hours without a tripod. The focal length is perfect; not too short so you won’t easily scare your subjects, and it’s not too long either (even on an APS-C camera). A lot of people think macro lenses are only for small products or animals, but you could honestly use this lens for almost anything, from portraits to sports. With f/2.8 maximum aperture and telephoto length, your backgrounds will look creamy and colorful, and you will also be able to shoot in darker conditions. Focusing wise, the Ring USM offers very quick and silent auto focus, a must for photographing in the nature. 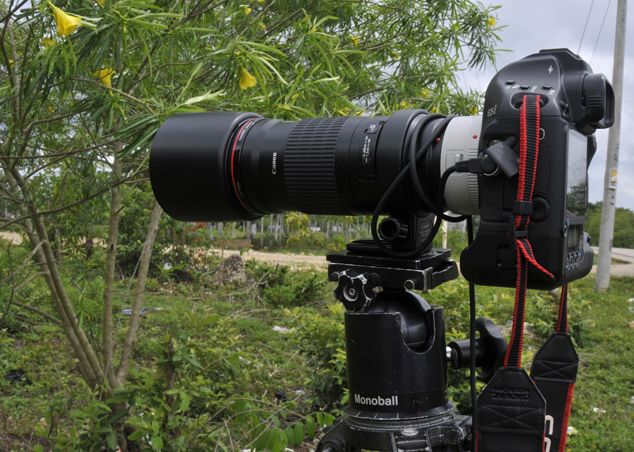 Its closest focusing distance is 1 foot (0.30m), it takes 58mm filters and weighs 21.1oz/598g. The Canon MP-E 65mm f/2.8 is quite unique, and is even more “macro” than all lenses above. The MP-E mount is designed to work on both APS-C and FF cameras, so if you own any Canon’s DSLR you can use it without any issues. There’s no auto focus, but you won’t need it. Forget about photographing without a tripod, as it’s quite hard to get accurate focus when working at such close lengths. You’ll also need plenty of light (outdoor, studio lights or a flash), but once you’re all set up and have the patience to focus, you can get some absolutely stunning macro photographs. It offers a 5:1 ratio, which is 5x closer than any of the lenses above, but everything gets dark and it’s hard to work at those settings. The 100mm f/2.8L IS USM Macro is the first lens to feature Canon’s ‘Hybrid IS’ system, that aims to improve stabilization at close focus distances by correcting for two types of shake movement (both angular and horizontal/vertical shift). Optically the lens is superb, autofocus is fast, silent and accurate, and it’s well-built too (including weathersealing). The new IS system is one of the most effective we’ve seen, but don’t expect a ‘magic bullet’ for hand-held closeups: for serious work you’ll still need a tripod. The EF 180mm F3.5L Macro USM is the longest macro lens in Canon’s lineup, and offers a maximum reproduction ratio of 1:1 at a relatively long working distance of approximately 9.5 inches–far enough away to avoid scaring a skittish small animal or insect. The internal floating system minimizes fluctuations in aberrations caused by changes in the focusing distance. This lens is compatible with Canon’s full-frame and APS-C DSLRs. 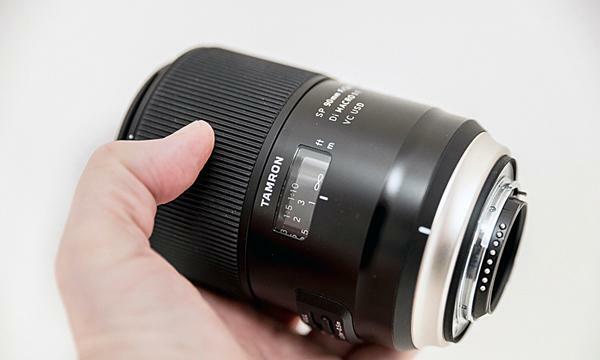 The Tamron 90mm F2.8 Di VC USD 1:1 macro has been enhanced with advanced features and builds upon a legacy of superior optical performance. Advancements in USD control software have also increased AF focusing speed, and optimally fine-tuned for various framing conditions. In addition, a high standard of Moisture-Proof and Dust-Resistant Construction has been added to prevent intrusion of dust or moisture, and a highly durable Fluorine Coating has been applied to the top element surface to prevent condensation and repel smudge-causing substances. Brilliant if you find macro photography interesting and would like to photograph moving subjects, or products, portraits and other details. It’s cheaper than Canon’s non-L version and is just as good. The closest focusing distance is 11.4 inches and it takes 55mm sized filters.